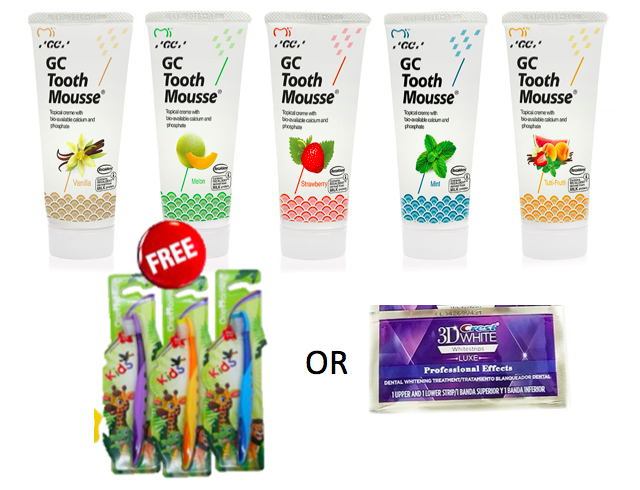 Strengthening toothpaste which has no harmful ingredients and fully edible. Comes with 5 tasty favours. 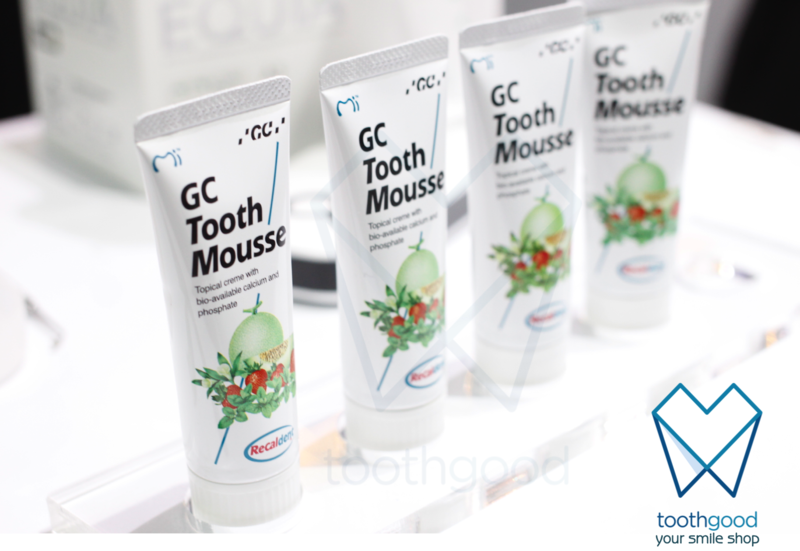 GC Tooth Mousse is not actually a tooth paste. 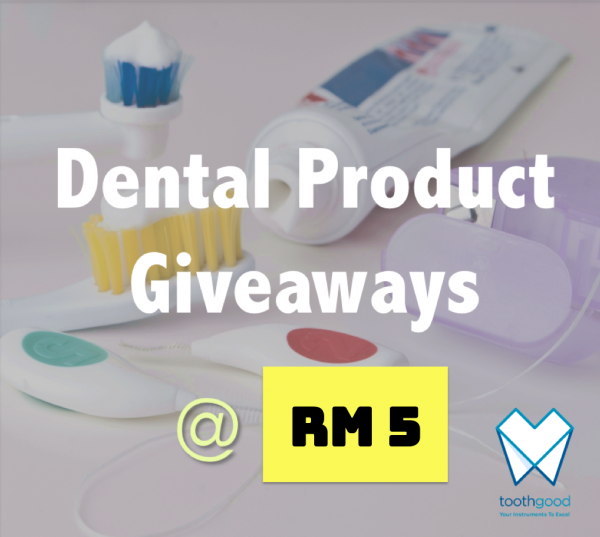 It is a water based sugar free dental topical creme containing Recaldent™ CPP-ACP (Casein-Phosphopeptide-Amorphous-Calcium-Phosphate) for your teeth to promote remineralization of early caries. 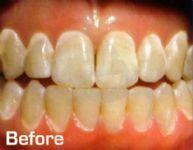 Very effective in reversing white spots on enamel. 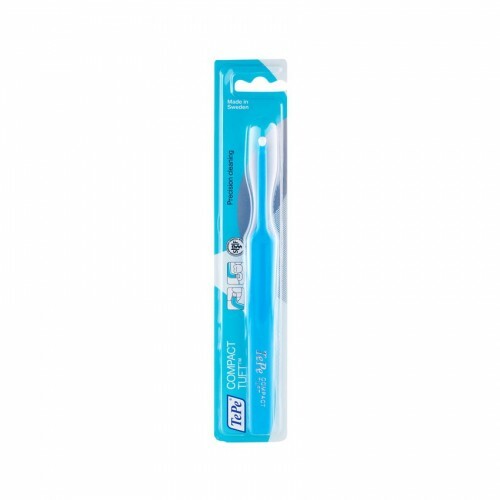 Usually given to patients with weak enamel. 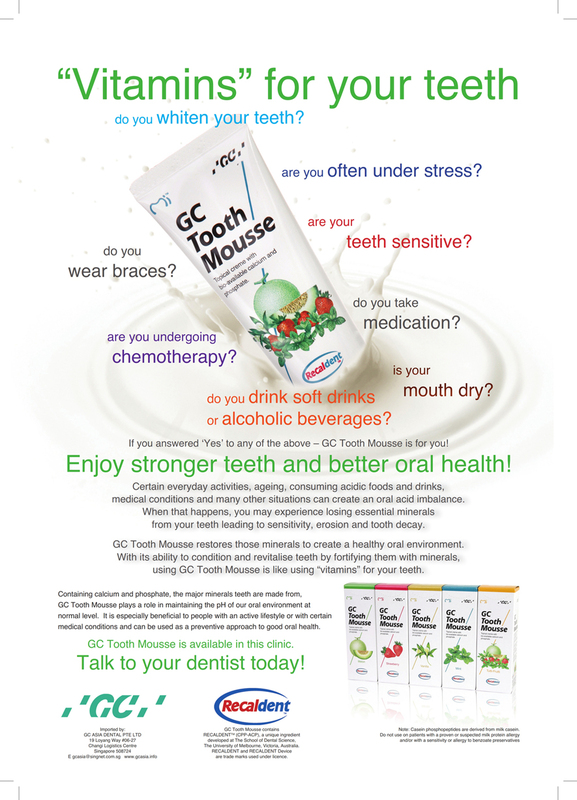 Helps provide extra protection for your teeth. 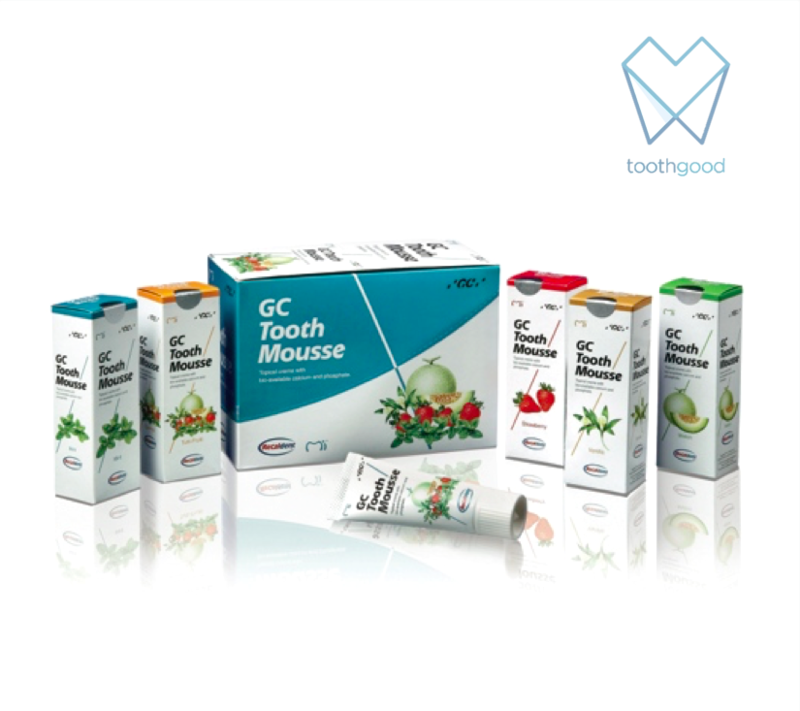 Helps neutralize acid and harmful bacteria in the mouth. Made from milk, contains high level of calcium. It is a product from Australia and Recaldent is a result of 20 years of extensive research. More than 10 years track record, trusted by dentists. Contains no harmful ingredients and fully edible. 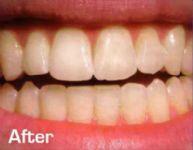 Painted onto the teeth and allowed to be absorbed onto teeth surfaces. Comes in different flavours like, mint, strawberry etc. A tube is sufficient for daily application up to 3 months. * Not suitable for people with milk or sodium benzoate allergy.